Need help planning your next pizza party? Not sure whether a Large is a better deal than a Small? Looking for an ultra-lame math joke? 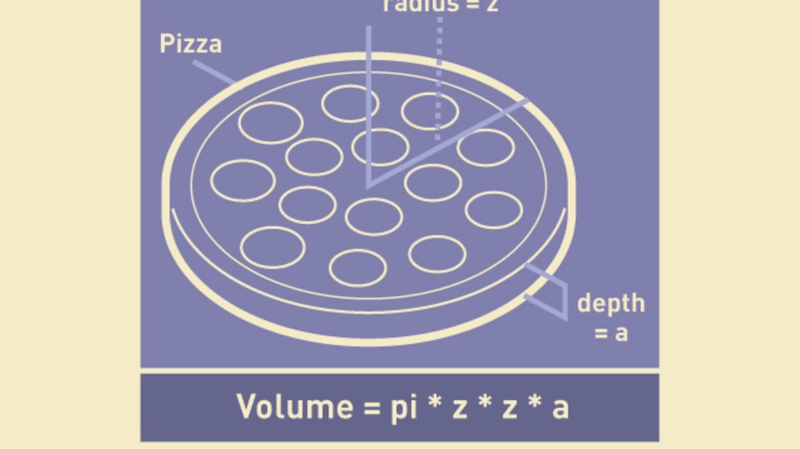 We're here to help with our Pizza Cheat Sheet. Sources: Gawker (Julia Alvidrez); Wired (Aatish Bhatia); and various geometry teachers throughout my life. Thanks, math class!